Date Expected: Oct 2018 - Dec 2018 - Please call in to Pre-Order no prepayment required. 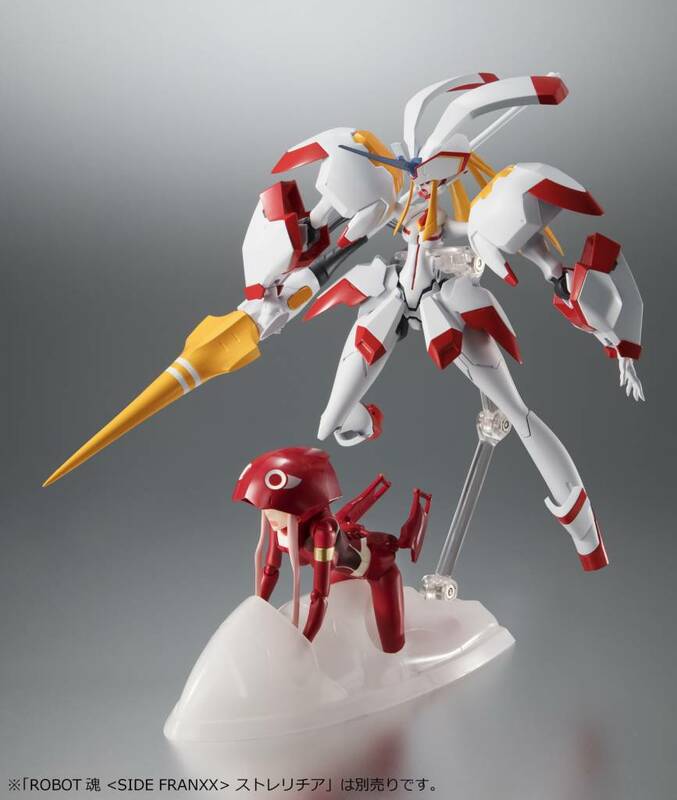 From S.H.Figuarts comes the heroine of the hit anime "Darling in the Franxx!" This accurate figure is articulated for high posability. 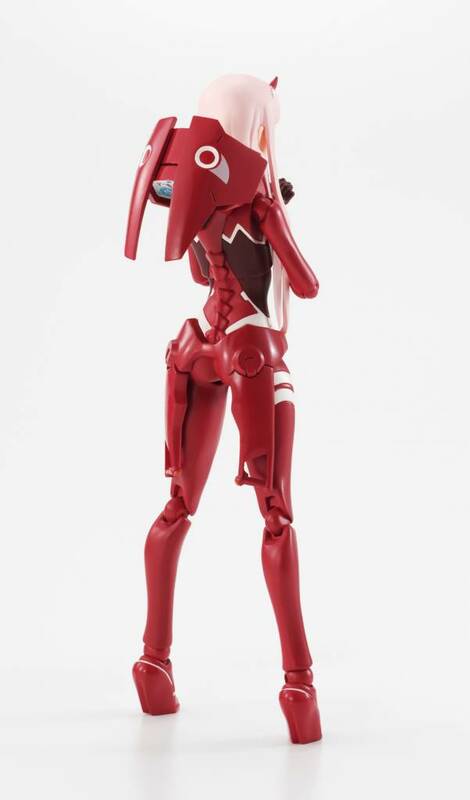 The waist arms fold out, and an optional hood-wearing head can be swapped in as well, letting you replicate in-cockpit scenes. 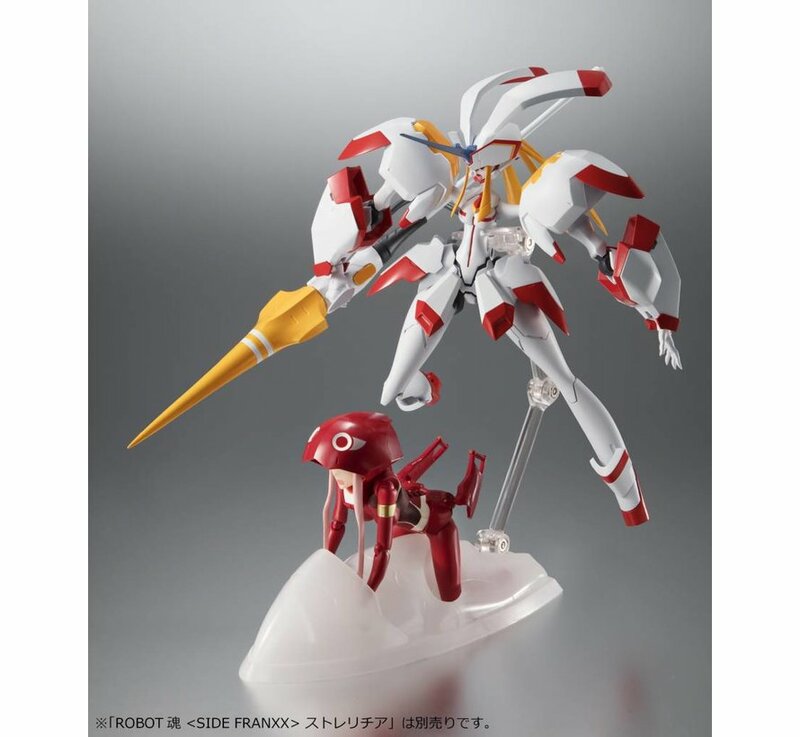 Compatible with the display of the SIDE FRANXX Strelzia (sold separately). 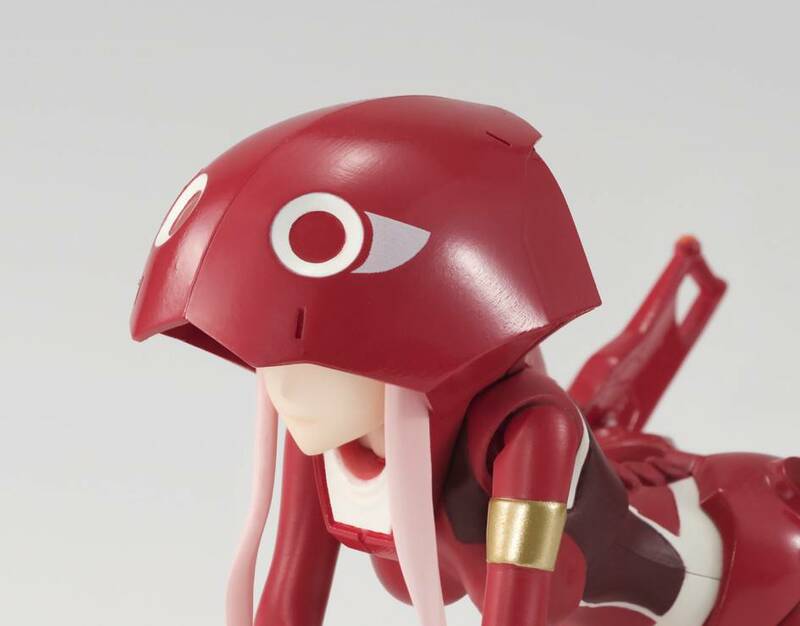 The set includes three optional expression parts, three pairs of optional hands, an optional hood-wearing head, and a custom stand designed to look like a cockpit. 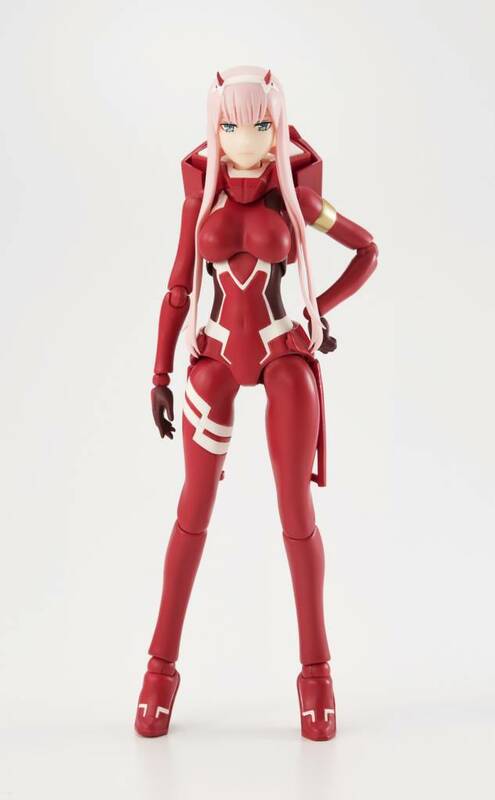 Zero Two "Darling In The FRANXX"